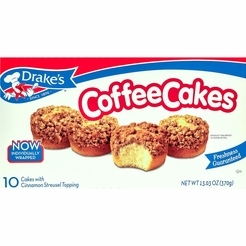 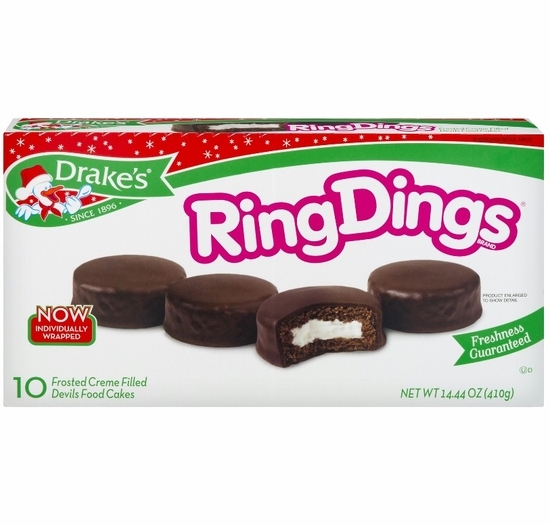 Drake’s continues to live up to its slogan, “If it’s Drake’s, it’s delicious!” with their yummy Ring Dings. 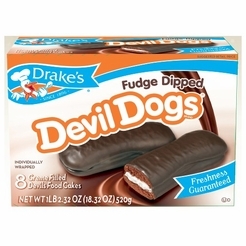 We have trouble finding people who will say “no” to moist Devil’s Food Cake filled with cream and generously layered with chocolate. 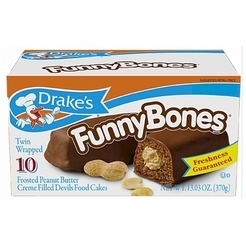 You can’t go wrong with a frosted cream filled snack cake covered in rich chocolate. 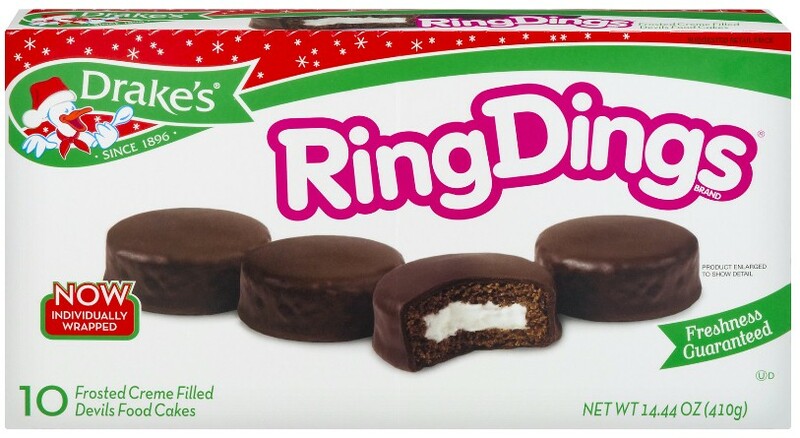 Ring Ding cakes have been made to perfection. 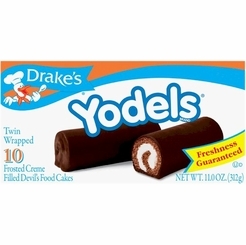 Bite into a Drake’s Ring Ding to indulge in the layers of chocolate, super moist cake and cream filling. 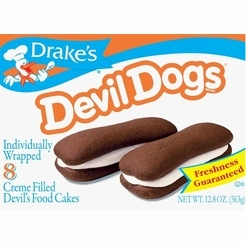 Each box contains 10 individually wrapped fresh frosted cream filled Devil’s Food Cakes (Total 20).